Cuba is well known for its former leader Fidel Castro, its communism and its renowned cigars, exporting the latter two to numerous countries throughout the world. In contrast, its role as an arms exporter remains much more elusive. 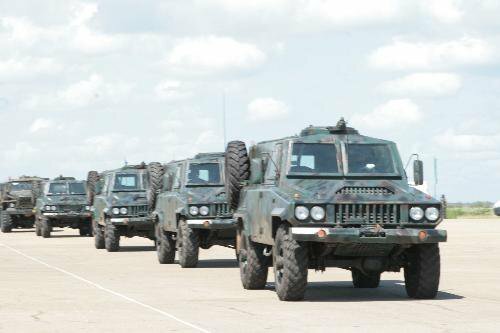 While Cuba has begun manufacturing a wide range of arms-related equipment and set up a large industry for converting armoured fighting vehicles in recent years, this industry has so far mostly been serving the needs of Cuba's own Fuerzas Armadas Revolucionarias. 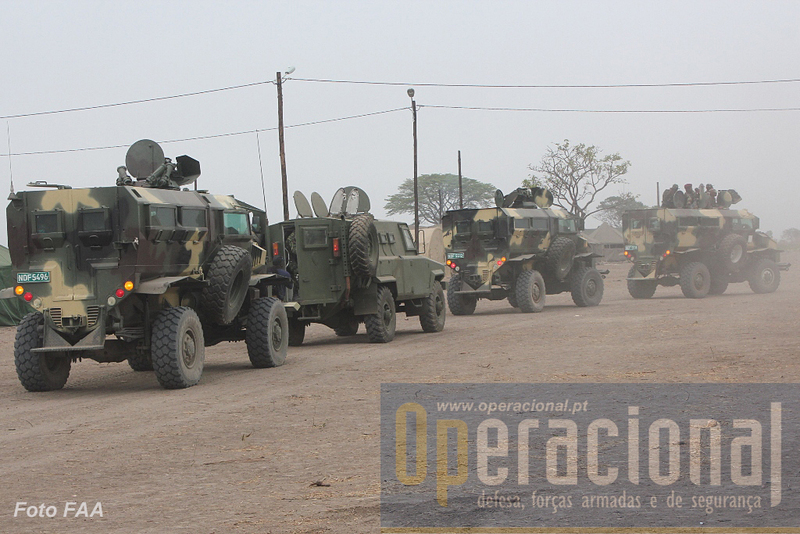 The presence of Cuban 'David' infantry mobility vehicles (IMVs) in service with the Forças Armadas Angolanas is thus highly notable. 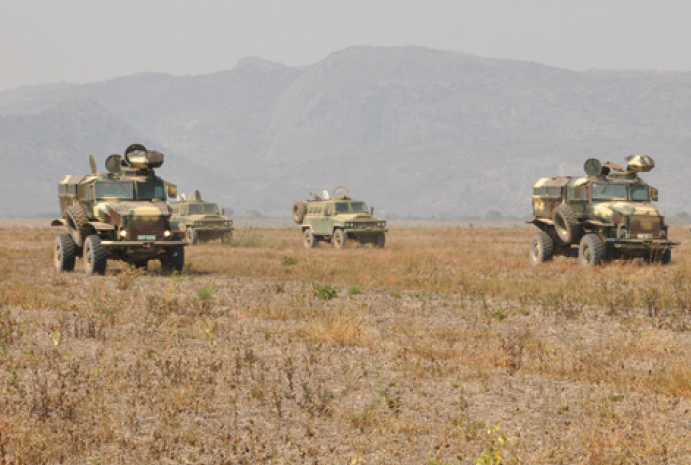 The David IMV was first spotted in service with the Angolan Army during the SADC's (Southern African Development Community) multinational exercise 'Vale do Keve 2014', where it carried out simulated missions alongside Namibian Casspir MRAPs (Mine-Resistant Ambush Protected). The David had been sighted in Cuba several years earlier, taking part in the 50th Anniversary of Playa Giron's Victory parade (as seen in the image below), commemorating the failed Bay of Pigs Invasion of 1961. 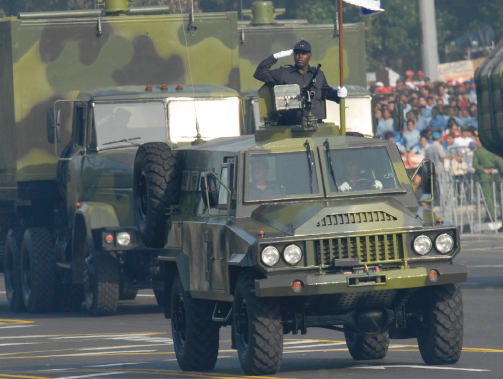 The strong relationship between Angola and Cuba, established during the former's freedom struggle against the Portuguese colonial rule of the country, has had a significant influence on Angola and its armed forces, but was not known to have materialised in the delivery of military equipment to Angola over the past decades. The bond between the countries was once again reaffirmed by recent meetings of Angolan and Cuban officials, where ministers stated their willingness to continue and even strengthen cooperation in the military field. The David IMV, sometimes called 'Iguana', is a direct result of Cuba's inability to replace its dated Soviet inventory of weaponry by equal numbers of newly acquired weaponry from abroad. This forced the Fuerzas Armadas Revolucionarias to find an indigenous solution for the increasing obsolescence of and decreasing flow of spare parts for its equipment, a situation which became increasingly evident throughout the 90s and early 2000s. This solution had to be carried out with a limited budget and more importantly, within the technological capabilities of Cuban factories. Cuba already had limited experience in the manufacturing and conversion of several types of vehicles, mostly by adding to or replacing their weaponry or by equipping vehicles with additional armour for increased protection on the battlefield. At least some of these vehicles were subsequently used in Angola, where the Cubans were fighting in support of the MPLA (People's Movement for the Liberation of Angola) against UNITA (National Union for the Total Independence of Angola), the FNLA (National Liberation Front of Angola), the FLEC (Front for the Liberation of the Enclave of Cabinda) and the South African Defence Force (SADF). A large contingent of the Ejército (Army) and Fuerza Aérea Revolucionaria (Air Force) was deployed to Angola in the 1970s and 1980s to serve as advisors to the Angolan Army but also to engage in direct combat with the SADF. While the Cubans are often credited for defeating the SADF, causing the latter to pull out of the Angolan conflict and grant South West Africa independence (becoming Namibia in 1990), the Cubans also suffered a string of defeats at the hands of the SADF. However, they ultimately convinced the SADF that this conflict could not be won without a significant increase in commitment, thus essentially gaining the Cubans a political victory through their presence in Angola rather than a military one. While the returning Cuban contingent was hailed as victorers over Apartheid South Africa, Cuba would soon find itself in major problems at home. Largely reliant on the Soviet Union for its trade, the dissolution of the Soviet Union had a devastated effect on the Cuban economy. The Cuban military was also hit hard, and was soon faced with a shortage of spares and fuel. As a result, large numbers of armoured fighting vehicles and aircraft were put into storage and large navy vessels and submarines were laid off. 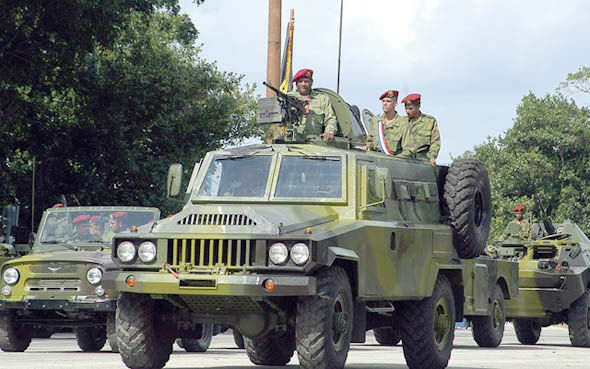 In light of a more stable economic situation, a large number of vehicles and equipment were taken out of storage in recent years for conversion to new roles in an effort to increase the Cuban military's fighting capabilities, sometimes leading to dubious contraptions with little fighting value in case of war but also leading to more impressive projects such as the David IMV. Other great examples of these conversions include the mating of surface-to-air (SAM) launchers onto the chassis of T-55 tanks, allowing for increased mobility of an otherwise static SAM site. Other projects include the installment of anti-tank guns, anti-aircraft guns, howitzers and field guns on the chassis of BMP-1s, T-55s and even stored T-34/85s. A full list of all known conversions can be seen here. Although often said to be a MRAP, a more fitting designation would be an 'infantry mobility vehicle (IMV)'. The David represents an interesting mix of parts mostly cannibalised from different types of military vehicles. The chassis is that of a Soviet GAZ-66 truck, on which an armoured body was installed. Although the armour values of the vehicle are unknown, the all-round protection is likely sufficient against small-arms fire and explosive fragments. The armament of the vehicle consists of a single 7.62mm PKT light machine gun taken from BTR-60s or BRDM-2s that have been converted to serve in different roles, losing their turret in the process. These vehicles are also the source of the roof hatches, up to four of which are present on the David. Two variants are known to exist, one with no such hatches and one with four of them, which is the variant in service with Angola. Three viewing ports with associated firing ports are located on each side of the vehicle. While the prospect of more Cuban weaponry showing up in countries throughout the world is not very likely, the sighting of such an exotic vehicle in Africa once again shows the complexity of the international arms market, necessitating accurate analysis to keep track of the way armament proliferates. This particular vehicle serves as an excellent illustration of this fact, adding to an armed forces' arsenal of extremely diverse fighting vehicles, many of which originated from unconventional sources including even North Korea. Actually in campaigns that saw tactical victories and setbacks for Cuba's expeditionary forces in Africa, they did manage a strategic victory in gaining the independence of southwest Africa. And in the country of South Africa, the Cuban intervention is popularly credited as dealing a psychological blow to the Afrikaners and enabling the end of Apartheid. It is the reason after his release from prison, the very first foreign trip undertaken by Mandela was made to Havana to personally thank Castro. I was looking forward to this post on the David IMV. Many thanks, as always. Do you have any plan to cover the terrorist T90 that had been fixed?